The Yeti—formerly known as the Abominable Snowman—is the Himalayan version of the American Bigfoot. Like Bigfoot, it is large, powerful, leaves strange tracks, and has never been proven to exist outside of folklore and myth. Interest in the supposed creature is fueled by occasional sighting reports and odd footprints. 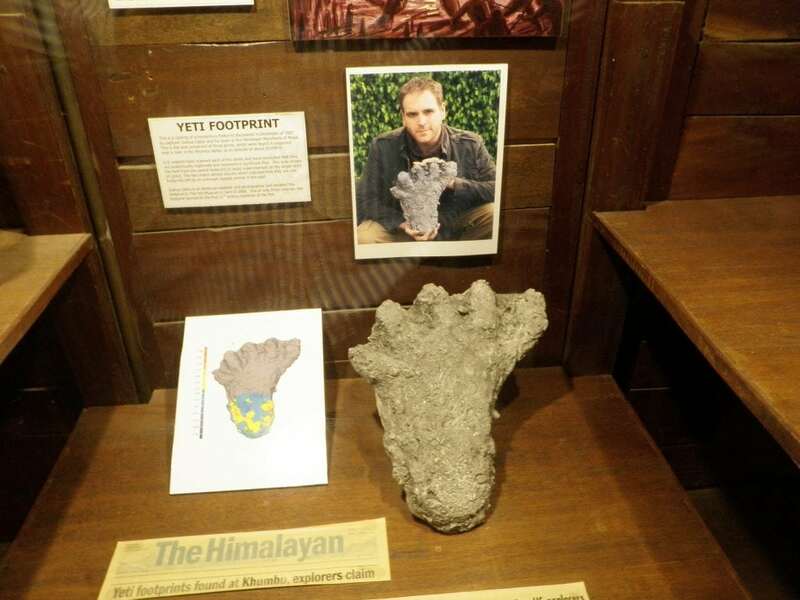 In 2007, Josh Gates, host of the TV series Destination Truth, claimed that he found three mysterious footprints: one full print that measured about thirteen inches long, and two partial prints. Gates said that he could not identify what made them, but that they are “very, very similar” to other strange tracks previously found in the Himalayas and attributed to the Yeti. To Gates and his television crew, this apparently seems like strong evidence for the elusive creature.  The find made international news, with outlets including Reuters covering the story. Yet there is a scientific explanation for many Yeti footprints found in the Himalayas. Tracks in snow can be very difficult to interpret correctly because of the unstable nature of the medium in which they are found. Snow physically changes as the temperature varies and as sunlight hits it. This has several effects on the impression, often making the tracks of ordinary animals seem both larger and misshapen. As sunlight strikes the impression from different angles, the sides of the tracks melt unevenly. Thus a bear track made at night but found the next afternoon has been exposed to the morning sun and might change into a mysterious track with splayed toes—much like the one Gates and his crew claim to have found. While the track Gates found was apparently not in snow, it was in a medium almost as bad: rocky soil near a river. It can be difficult or impossible to get accurate tracks of even known animals in such hard, uneven terrain. If the soil was soft enough to make a valid impression as Gates claimed, it is puzzling that he found only one complete track. Depending on the terrain, we might expect to find a continuous line of dozens of tracks. Or, if the terrain is so poor at capturing tracks that he only found one full print, how accurate can Gates’s track be? It’s amazing that anyone would claim to have found evidence for the Yeti based on only one ambiguous track found in rocky soil. Gates and the Destination Truth crew interpreted the tracks as those of a Yeti; after all, they were in the area specifically searching for the creature, and as soon as they found something that seemed mysterious, they called the press claiming they’d found evidence. Of course just because Gates doesn’t know what made the track doesn’t mean that a Yeti did. Assuming that the track is real, there are several animals that could have made it. Those who live in the foothills of the Himalayas were skeptical, suggesting that he simply misinterpreted tracks from a mountain bear. Mountaineering legend Reinhold Messner spent months in Nepal and Tibet, climbing mountains and researching Yeti reports following his own sighting. In his book My Quest for the Yeti, Messner concludes that large native bears are responsible for Yeti sightings and tracks. It’s not surprising that the track fooled Gates and his crew, since they did little investigation and only spent about a week in the area. Gates is an actor, not a zoologist or animal tracker, and has little or no experience with supposed Yeti footprints. 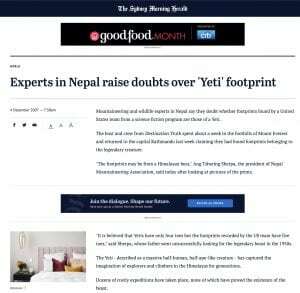 Gates’s discovery was only the latest in a long series of similar “mysterious” tracks in the Himalayas attributed to the Yeti more out of speculation than science. Final resting place of the Gates Yeti track.